12 April 2016 Land Rover BAR sailing T3 for the first time off Portsmouth UK. If you’re interested in boats there are few more fascinating places to while away the hours than Portsmouth harbour: where an endless flotilla of superyachts, passenger ferries, towering warships and even the occasional hovercraft form what’s surely the UK’s most varied and dynamic maritime landscape. But of all the vessels that head in and out of this historic port there is perhaps one that catches the eye more than any other: its futuristic curves, giant fibreglass sail, elegant hydrofoils, and energetic crew marking it out as something special. 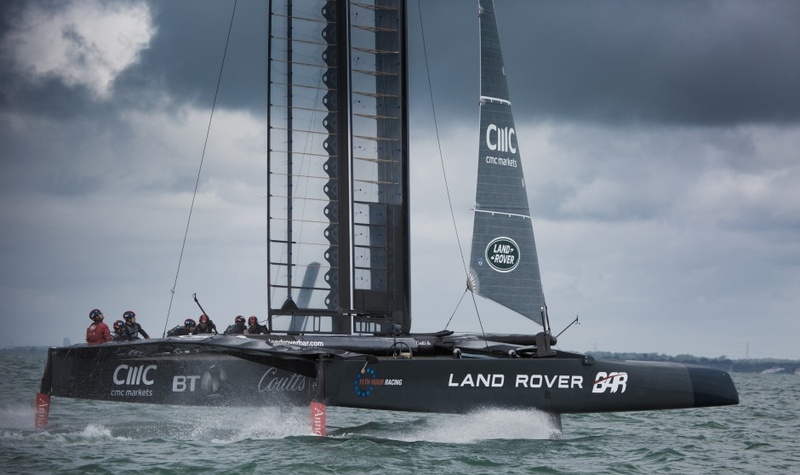 For Portsmouth is the home of Land Rover BAR (Ben Ainslie Racing), the company set up by the four times Olympic sailing champion with the specific intention of bringing sailing’s most prestigious trophy – the America’s Cup – back to Britain. 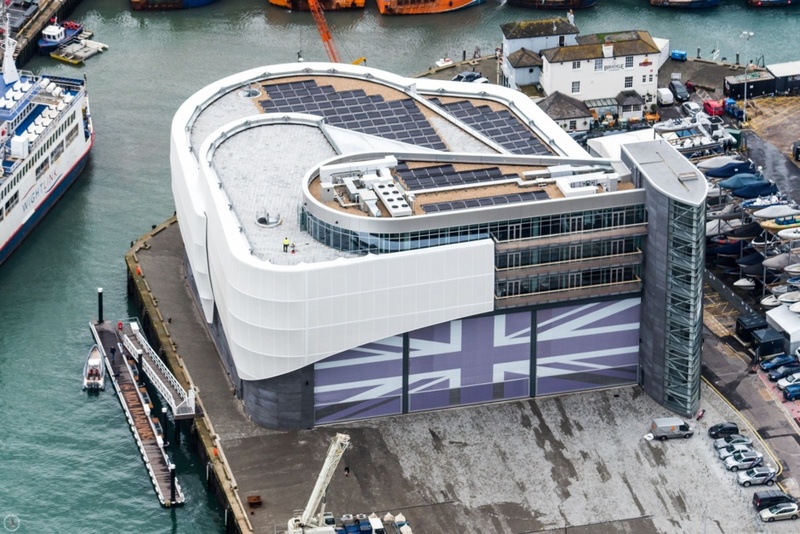 And the boat currently under development at the team’s sparkling new HQ is one of the most advanced, high-tech racing vessels ever to be built in the UK. If Ainslie succeeds, it won’t be his first taste of cup success. 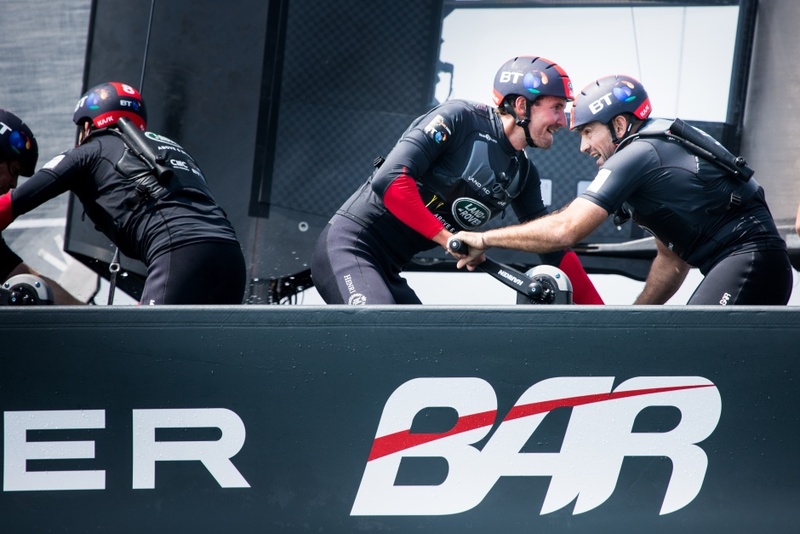 In 2013, he was parachuted in to Oracle Team USA’s flagging campaign, and has been widely credited with masterminding one of the event’s great turnarounds: with Ainslie onboard, Oracle turned an 8-1 deficit into a 9-8 victory. With this in mind, he has pulled together a crack technical team of engineers from a multitude of disciplines – led by Formula One (F1) veteran and former McLaren Group CEO Martin Whitmarsh – that he hopes will not only wrestle the iconic trophy from its current owners, but also mimic the success of firms such as McLaren and use sporting triumph as a springboard for wider industrial success. 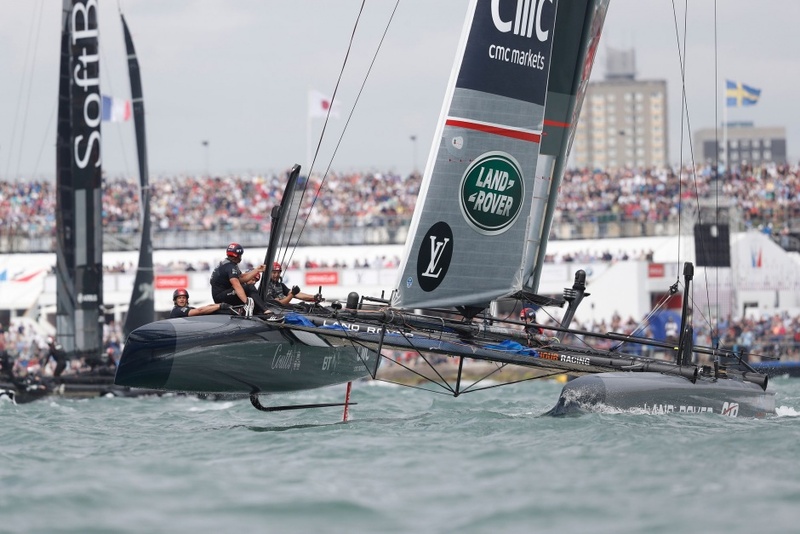 A complex competition (see box, p24), The America’s Cup has long been one of sailing’s most captivating spectacles but, over the last decade, radical changes to the rules have seen it evolve into one of sailing’s most dramatic and high-tech competitions. As recently as 2007, competitors raced far out at sea in big mono-hull vessels typically weighing around 25 tonnes, and rarely exceeding speeds of around 10 knots. 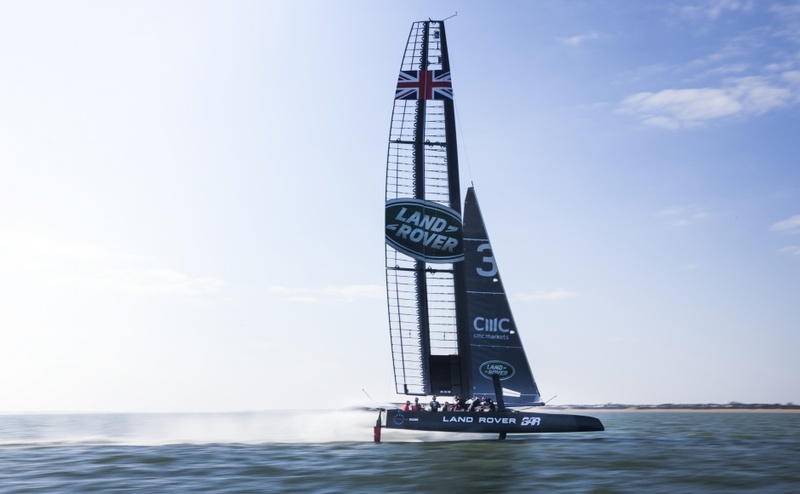 But a change in regulations for the 34th Cycle of the America’s Cup, which came to its conclusion in September 2013, saw the introduction of advanced hydrofoiling catamarans that fly at up to three times the speed of the wind on advanced L-shaped hydrofoils (or daggerboards). Piloting a so-called ‘foiling multihull’ around the twists and turns of an America’s Cup course is no mean feat. During sailing, the aerofoil (or wing) – a giant 23.7m-tall fibre-glass structure – provides astonishing amounts of thrust but in doing so provides an unwanted heeling force that threatens to capsize the vessel. The hydrofoils resist this side force and create the lift. The crew’s job is to ensure that, in the constantly changing conditions of the ocean these competing forces are carefully balanced. They do this chiefly by changing the angle of attack of the hydrofoils and adjusting the wing and the flaps to generate just the right amount of thrust without capsizing the boat. All of this is backed up by the efforts of the muscle-bound ‘grinders’: specialist crew members whose prime purpose is to operate hand-powered cranks that charge the hydraulic systems used to power the wing and foils. The preliminary stage of the competition – the so-called Luis Vuitton America’s World Cup Series – is already under way. And for these races, which are aimed at narrowing down the field to find a challenger for next year’s big show-down in Bermuda, all of the teams are racing a standard boat: a 45ft foiling catamaran known as the AC45. But in tandem with this the team is refining and building the considerably more advanced AC-class race boat that it hopes will eventually win the America’s Cup in Bermuda in 2017. And while the AC45 is capable of an impressive turn of speed, the AC-class vessel currently under development is estimated to be almost 2.5 times as powerful: capable of flying at around 85kph, and at up to three times the speed of the wind. While many elements of the boat’s design are carefully regulated there are areas of design freedom – notably in the design of the hydrofoils, aerofoils (wing) and control systems. And it’s here that the engineering team hopes to squeeze out the kind of marginal gains that have come to define other high-tech racing sports. 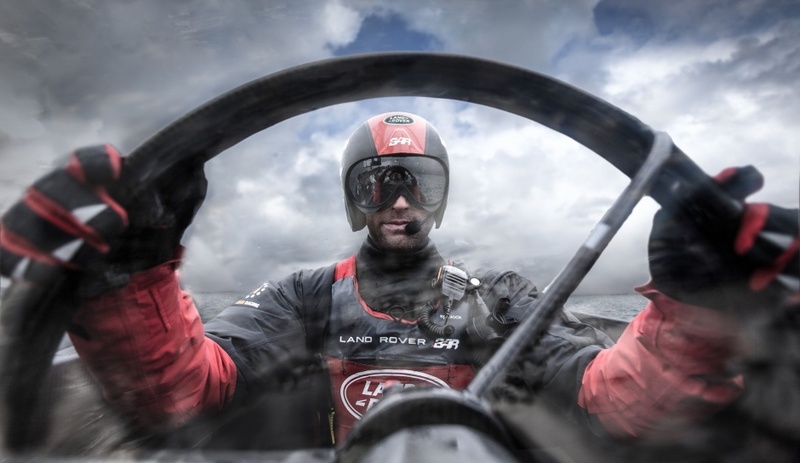 “The control of the wing, the flying shape of the wing, the dagger boards, the rudders, they’re the things that really make a difference to these boats and they’re still completely open,” explained team CEO Martin Whitmarsh. During testing, data on the performance of these critical components is gathered from the thousands of fibre-optic sensors embedded throughout the boat, and fed back live to the engineering team. But some of the most critical information is provided by the sailors themselves. It’s a dynamic that Whitmarsh remembers well from his days in F1: “I think it’s quite amazing when you’re dealing with the best racing drivers or sailors in the world, the feeling that they have. If there’s something wrong – a vibration, a noise, a tone, a feeling, a steering load feedback – these guys are so supersensitive. As well as the relationship between crew and the engineers, the team also works closely with a number of key industrial partners – including Jaguar Land Rover, BT, BAE Systems, Siemens, and Renishaw – through its Technical Innovation Group (TIG). 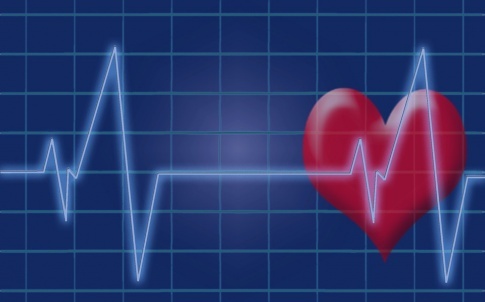 “We’re quite a small organisation; the TIG allows us to reach out to much larger technical organisations looking for areas of expertise that we don’t have,” commented Whitmarsh. 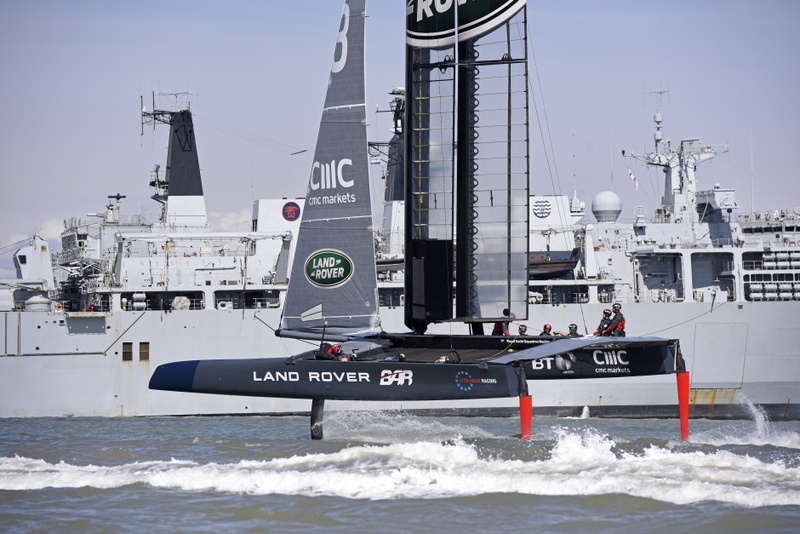 One particularly notable example of industry involvement is the work the team has done with Land Rover – its main technical partner – on the boat’s 78.6ft wing. Around the same size as that that of a 757, this huge carbon-fibre structure is covered in a thin Clysar film that deforms under the load of wind, thereby modifying the flow of air over the wing and affecting its performance. In an effort to understand this in greater detail, and to actually determine the final flying shape of the wing, the team deployed tools originally developed by main technical partner JLR for designing the roofs of convertible cars. Another important relationship is with industrial giant Siemens, which has supplied an end-to-end suite of software tools that has enabled the team to create a true digital twin of the real-life boat. Elsewhere, one particularly unusual development has seen engineers at BAE Systems adapt a battlefield communication technology based on bone conduction to help the crew communicate more effectively with each other. 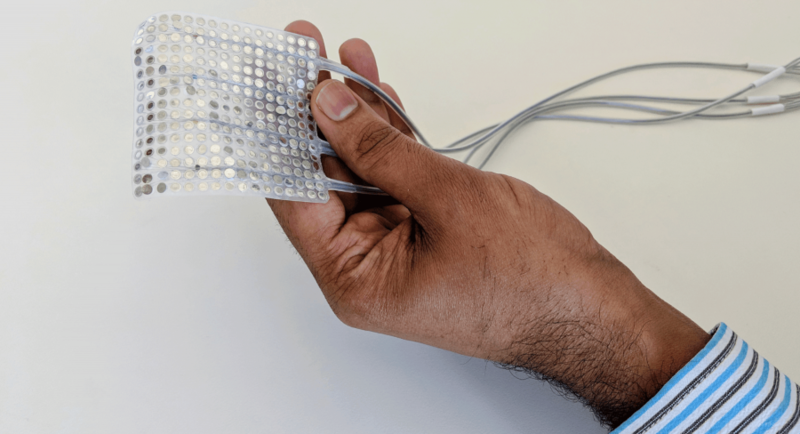 This prototype headset creates physical vibrations from an audio signal, which travel through facial bones into the inner ear, where the vibrations are translated into nerve impulse signals sent to the brain. 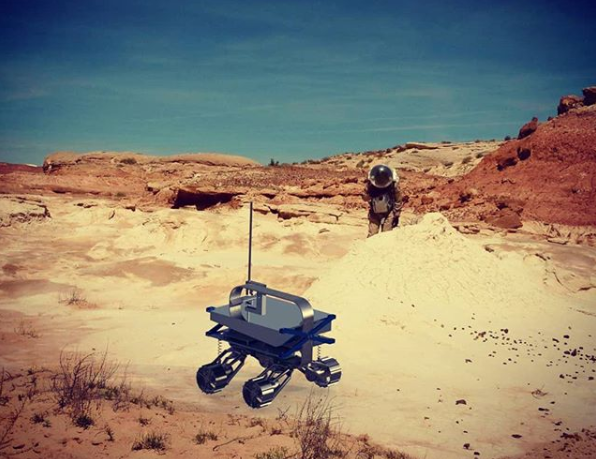 The device enables users to keep both their ears free so external sounds can be heard, while providing the ability to communicate clearly with crew mates despite the harsh and noisy conditions. 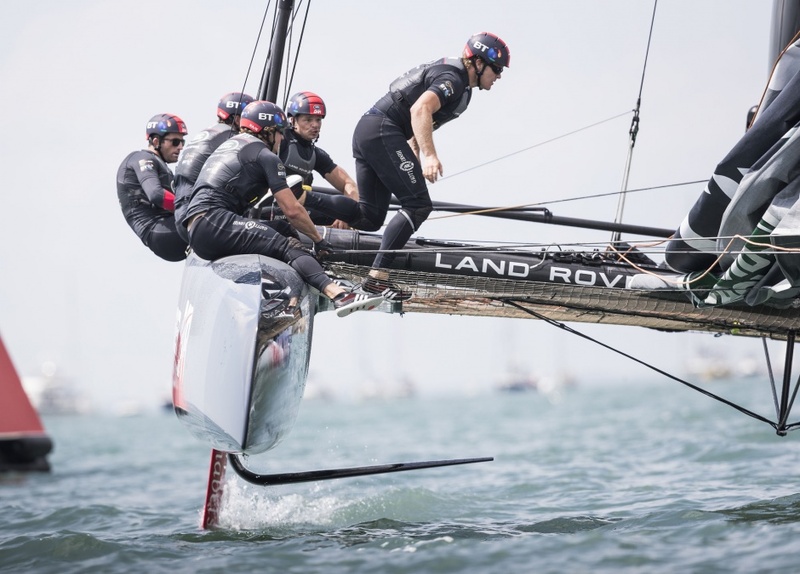 Ainslie, Whitmarsh and the Land Rover BAR team appear supremely confident that this focus on innovation will bring the America’s Cup back home. But beyond this, they hope it could lay the foundations for wider industrial success: that a triumph in Bermuda next year could set the team up as an internationally recognised hotbed of maritime innovation. 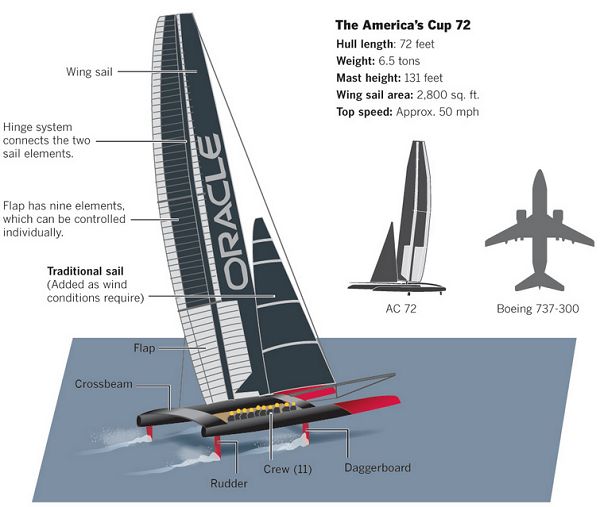 The America’s Cup has a long history and a complicated format. Although six teams are competing in its current iteration, the 35th, which culminates in 2017, the final race will be between the current holder of the trophy and a qualifying challenger. The world’s oldest international sporting trophy, the history of the America’s Cup goes back to 1851, making it slightly older than even The Engineer. In its entire history, only four teams have won: the US, Australia, New Zealand and Switzerland. Selecting the qualifier to challenge for the trophy is a competition itself, known as the Louis Vuitton America’s Cup World Series. This consists of a series of regattas of six races held over a weekend in international locations. The 2017 competition in fact began last year in Portsmouth, Gothenburg and Bermuda. Further races took place earlier this year in Muscat, New York and Chicago, plus a second regatta in Portsmouth. Still to come are races in Toulon and Fukuoka, Japan. Teams accumulate points during these regattas in a league system. The regattas, which take place in a round-robin format, will yield four top challengers who will compete in a play-off – a match-racing semi-final and final in Bermuda to be held in May and June 2017. The winner of this will compete against the holder in a final pair of races in late June. 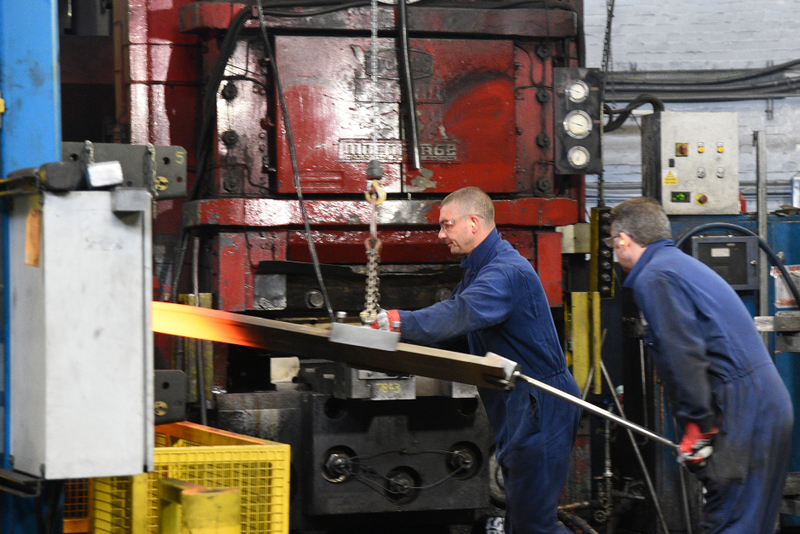 Land Rover BAR isn’t alone in looking to industry to help provide a competitive edge. 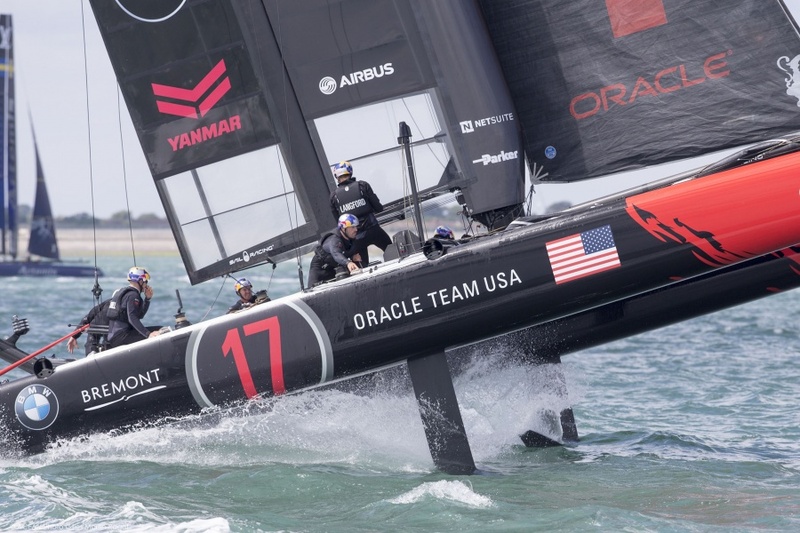 Indeed, the current holder of the America’s Cup, Oracle Team USA, has been working closely with aerospace giant Airbus on a host of innovations. Speaking at Airbus’s recent Innovation Days event in Hamburg, Charles Champion, executive vice-president for engineering, commented that the synergies between sailing and flying are greater than ever. One of the biggest of these is in materials, he said. The skeleton of an America’s Cup boat for the 2017 races is made from carbon composite, as are increasing amounts of Airbus’s aircraft; notably the A350 series, whose wings are entirely made from composite; the wing structure is very similar to the sail wing of the yacht. According to Champion, diversity of projects is one of the keys to delivering innovation at Airbus. By helping to deliver a step change to the sailing world, with its technologies, competencies, methods and tools, the company’s engineers gain a new perspective on their work that helps to unlock new views on how they can be used in its civil and military aerospace centres of excellence. Some of the main areas where Airbus technology has come in useful include aerodynamic foil design and testing, hydraulics, yacht aerodynamics, 3D printing and MEMS pressure sensors. Perhaps the most striking features of the America’s Cup boat are its dagger boards – the aerofoils that the boat rises up on at speed. Airbus found that the ideal shape was very similar to the upturned winglets it currently uses on the tips of the wings of the A350 aircraft. Like the winglets, the dagger boards have to bear extremely large loads; whereas on the wing they help to diffuse the vortices of air that form during flight, on the boat they are to support the weight of the entire craft, the force of wave impacts and the stresses incurred when the boat manoeuvres. To ensure that the basic winglet structure was up to the job, the Airbus team performed two component tests at its Hamburg manufacturing facility to validate the rigidity of the structure against the strength that was required. In the process of this work, the team found that different manufacturing processes might be possible to make the winglets for the aircraft; these are now being validated. The aerospace company’s expertise in computational fluid dynamics (CFD) was also important to the project. The data gathered during the boat design process helps the team to design a global sailing simulator, which Champion said is precisely equivalent to an aeronautical flight simulator. In the case of the boat, simulation was even more challenging because as well as the aerodynamics of the part of the boat that is out of the water it had to take into account the hydrodynamics of submerged portions: the hull sections and dagger boards. Variables taken into account include the yacht speed, the cavitation (formation of bubbles in the water owing to the low pressure in the wake of the hydrofoil), and the hydroelasticity or deformation of the dagger board structure caused by water pressure. Another function where aerospace technology has contributed is in sensing the strength of the wind. In conventional boats this can be done by careful and practised observation of the fabric sail, but obviously this can’t be done in a boat with no sail. Instead, Airbus provided aerodynamic pressure sensors similar to those it is now introducing onto its aircraft wings; these use MEMS devices to provide an accurate reading of air speed without having to pierce the composite structure. The leading edge of the boat’s vertical aerofoil carries eight strips of sensors, which have a variety of potential applications. Airbus has also contributed a 3D-printed component to the Oracle boat. This component, the forward organiser, has a complex geometry and is made from aluminium. By making it with additive layer manufacturing, Airbus achieved a weight reduction of 57 per cent, reduced the production lead time and increased the component strength. Any reason the dagger boards do not have an outer tip as the rudders do? Seems they would add stability in gybes? The dagger boards are fundamentally L-shaped, with a horizontal and a vertical section. The horizontal part provides lift and the vertical provides sideforce while allowing the whole thing to be slid up and down in its vertical case. The rudder too has a horizontal wing on the bottom, acting as a stabiliser (tailplane) does on an aircraft, controlling the attitude of the craft. You do not want a downward pointing winglet on the end of the daggerboard as it would sometimes be in the water on the weather side where the board is meant to be raised clear of the surface to reduce drag. You do not want an upstanding winglet either because it would break the surface when the wing is running shallow. A foil breaking the surface can, if subject to hydrodynamic force, conduct air down its low pressure side and this destroys the lift on the horizontal hydrofoil. This is known as ventilation. Note also that any angled foil, whether it is a winglet or the apex of the L-shaped daggerboard, adds interference drag so you would not want to add an outer tip unless there were very real benefits. Let me know if you would like further details of any of the above points. Good luck to all at Land Rover BAR, a truly inspiring endeavour. I hope that fellow Engineers recognise the outstanding combination of skills, abilities, knowledge, application, systems analysis, experience and experiences -I could and we all should go on…that are ALL aimed at excellence. Advances in materials, computing skills, taking each aspect to the ultimate to achieve success, optimization of knowledge and its integration to create world-beating situations: many of these not even known let alone used at the start of my career -55 years but still counting. Here it comes, I hear you say! Mike is going to draw a comparison. Indeed he is! There is a pivotal aspect to the proper advance of our society and Nation -the election and control of our ‘leadership- which last altered its ‘ways’ about 300 years ago: and as we have all recently been a party to -still believes that a cross on a paper written by a pencil (tied to the booth?) and hand counted is the best way to advance Britannia. Words like Rip Van Winkle come to my mind? Take the skill, and courage of these sporting based giants and put such to make other elements of our society ‘fit-for-purpose’ and who knows what may result. The shams certainly do, because they see the end of their absolute control happening overnight! I read recently that the Palace of Westminster -crumbling, decrepit, outdated, poorly maintained, botched, you get the idea is a perfect analogy (simile? metaphor -we are only simple Engineers) of the political process that still clutters up its ‘halls’ Cromwell had the right idea: “be gone!” and I hope our profession says the same and soon. There seem to be a number of inaccuracies with some descriptions, as well as facts, in this article. 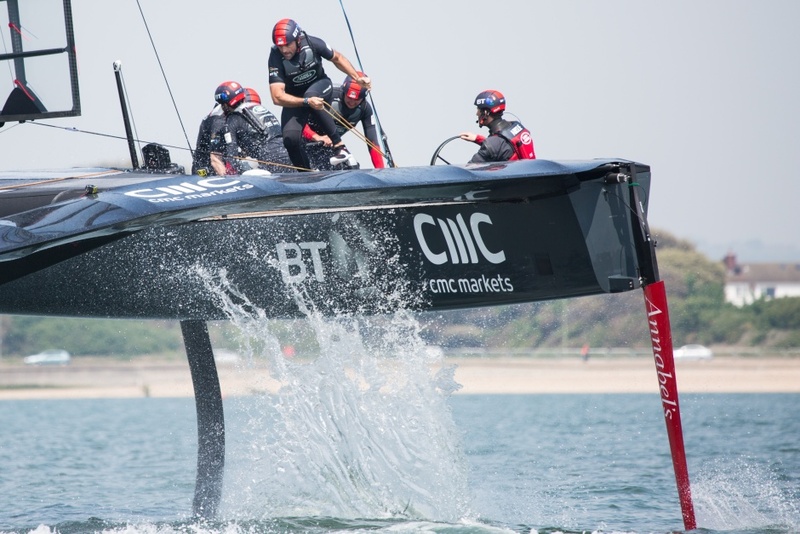 As an example, the claim that in the last AC competition – ‘one of the event’s great turnarounds: with Ainslie as skipper, Oracle turned an 8-1 deficit into a 9-8 victory’, is incorrect. I believe that you will find the skipper /helmsman for Oracle then (and still, in the current series), was Jimmy Spithill. 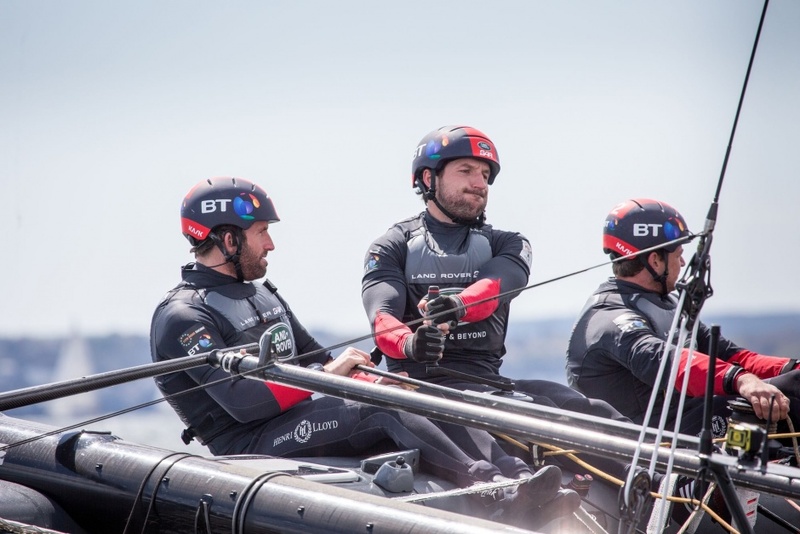 In San Francisco, Ben Ainslie was dropped into the role of Tactician, replacing John Kostecki from Race 6 onward, as the defender had failed to win a single race up to that time and was rapidly heading towards loss of the trophy to the New Zealanders. A little more accuracy and precision would be helpful. As secretary for the Weir Quay Community Watersports Hub Club on the River Tamar, I hope that the sailing community will not lose focus on the foundations of our skilled sailors of tomorrow! We have a strong group of cadets in a small corner of Devon who’s future is reliant upon sponsorship – only £35,000 is needed to build the repair and storage shed that we desperately require. All the best to Sir Ben and all the experts – our little dinghies will, no doubt, benefit from the emerging technologies. Graham, Get some PR guru to get your small but vital contribution to the advance of sailing recognised and who knows? I believe “hydroelectricity” should be “hydro-elasticity”; but otherwise an excellent and very informative article! Thanks Henry, that’s been amended now. I’ve been sailing on and off for 45 years , I admire the technology but is it really still a boat ? Bring back the J class I say ! So have I: a Uni colleague [who went public in the 80s] did actually at one point own ‘ Inca’- an America’s Cup challenger. As he said -like standing in a cold shower tearing up £50 notes- the gorillas (about twice my size) who were the power source had much more fun with and benefit from the boat: visitors and owner were only occasionally there: the crew (fed like horses) used the vessel to encourage young ladies aboard for social purposes. Hey ho. Is it still a boat? Brilliant engineering, once again showcasing what we are so good at. 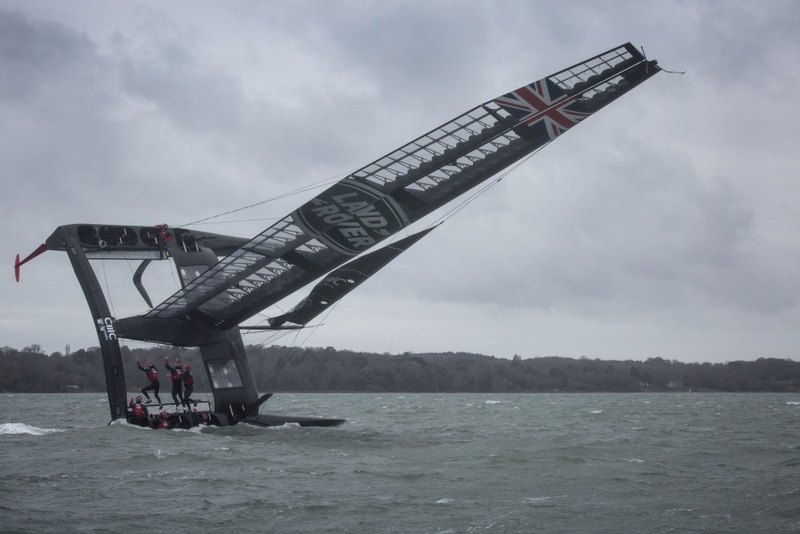 It will be interesting to see whether the UK’s engineering, design prowess and the legend that is Ben Ainslie. can offset the colossal budgets of the other teams funded by various billionaires. Ainslie is a master tactician and out on the water that may be our decisve advantage. Whatever happens this is the best chance we have had in almost the entire history of the event of winning.